An important measure of any investment is its liquidity: How easy is it to resell? 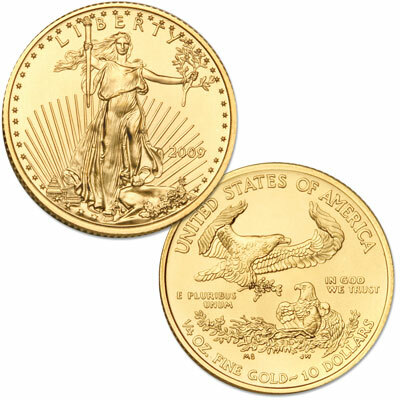 United States Government backing means that like the dollar, American Eagle Bullion Coins are accepted in major investment markets worldwide. 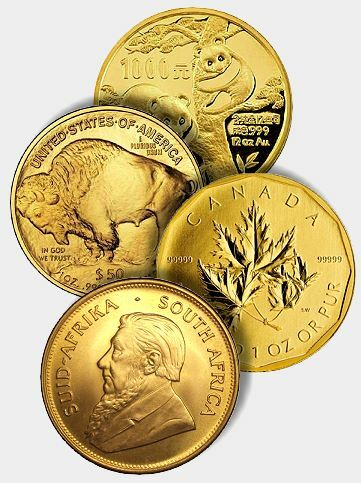 They are also the most widely traded bullion coins in America, affording investors narrow spreads between buy and sell prices. 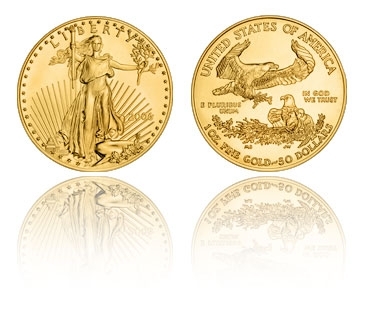 It's easy to track the value of American Eagle Bullion Coins. 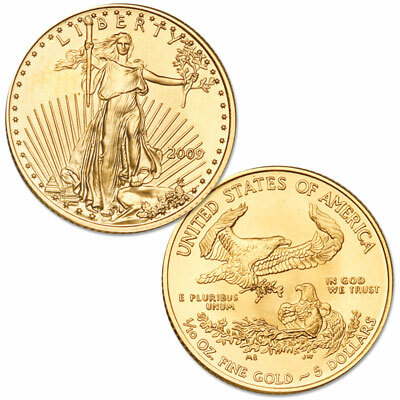 Most major newspapers report the daily price of gold. 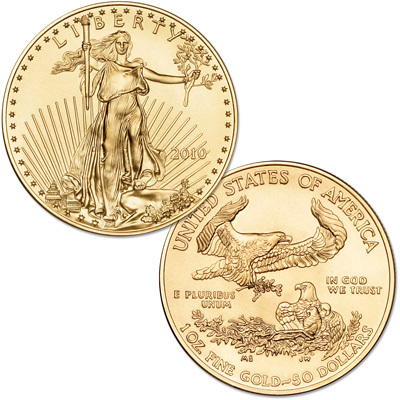 An American Eagle's value is based on the market price of its metal content, plus a small premium to cover coinage and distribution costs. They are minted in four weights - 1/10, 1/4, 1/2 and 1 ounce - to fit a variety of budgets. These are minted in proof condition as well. 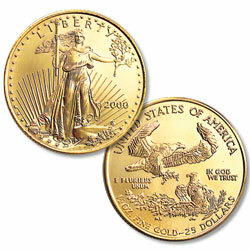 American Eagles are by far and away the most popular bullion gold coin on the market today.